Fun for kids. Romantic for adults. Unique gift. 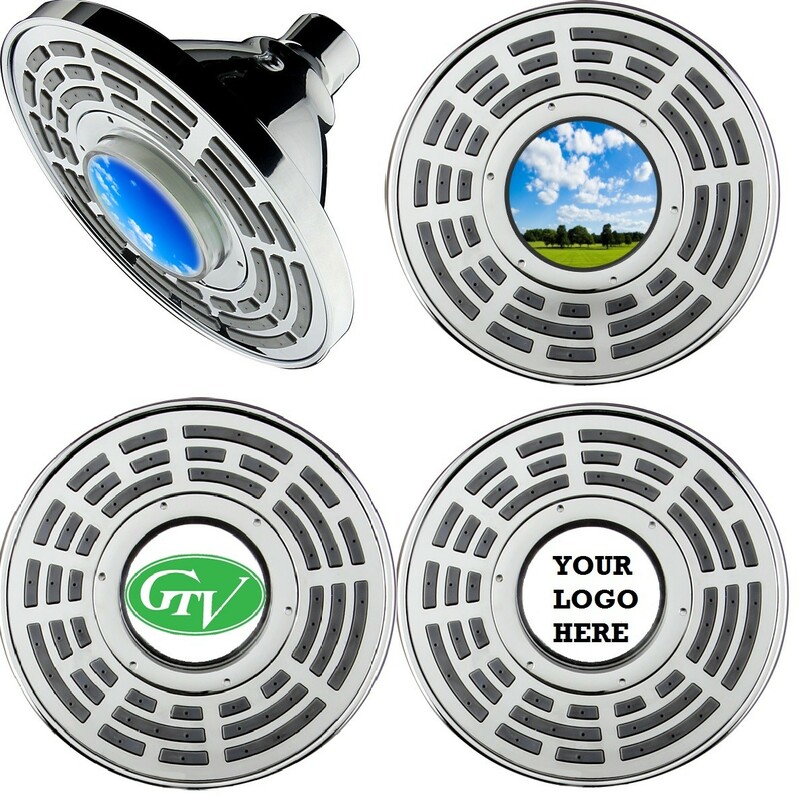 Simply place a picture, icon, or logo at the center of picture display shower head. White light LED illuminates film, creating a mini-light-box effect. High quality Chrome finish.